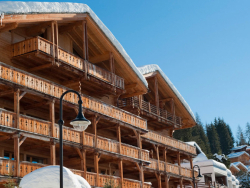 Having been established in Verbier for fourteen years we know the resort better than anyone else, and offer some of the most luxurious ski chalets in Verbier. We've tried the most secret runs and it's best night spots, we employ the most creative chefs and feature its most exquisite accommodation. 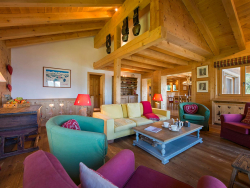 Through this local knowledge and passion for all things Verbier, we are able to offer exceptional service to match our exceptional chalets. Although unique in their own way, each of our fabulous catered chalets represents excellent value for money. Combining luxury with those all-important home comforts. Whatever your skiing requirements, Ski Armadillo has the knowledge. Professionalism and personality to ensure that you receive the skiing experience that you deserve. After all, we're skiers too, so we know how important this holiday is for you. A stunning penthouse apartment, conveniently located just 200m from the Medran. 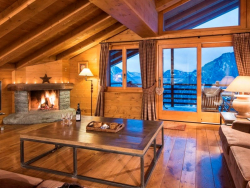 Beautifully furnished, creating a cosy traditional 'alpine home'. 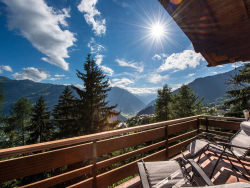 Katarina is a lovely freestanding chalet in its own quiet grounds set amongst some of the most exclusive chalets in Verbier. The Cimerose is a contemporary ground floor apartment, furnished to a very high standard and boasting an enviable central location. 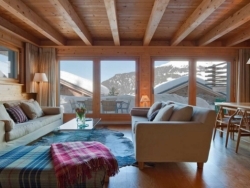 A spacious apartment chalet, with an enviable location, that comfortably sleeps 10 guests in 5 en-suite bedrooms. 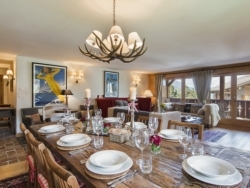 Beautifully decorated with an Authentic wooden finish, La Siesta 12 sits just outside of central Verbier, Switzerland's premier ski resort. A stylish, contemporary, ground floor apartment located just minutes away from the Medran lift. 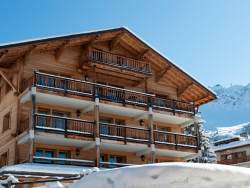 Ideal for smaller groups of Verbier enthusiasts!